Fall has arrived and this is also a time where a lot of conventions are on the agenda. 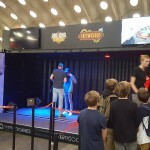 Last week, we had the opportunity to attend Comic Con Antwerp while this weekend we were invited to check the fourth edition of GameForce. 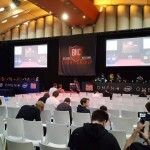 Next to the ‘regular’ conventions that are being held in Belgium, this is a gaming-related event that takes place in Mechelen. 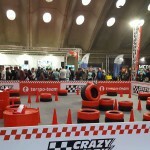 Last year, the organisation tried their best to give everyone a nice experience, but will it be the same for this year? 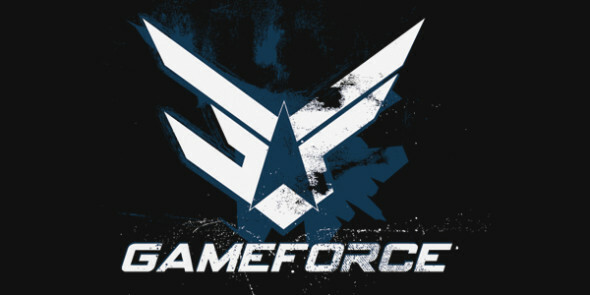 If you’re into gaming and everything that is necessary to do so, you’ll like what you find on GameForce. 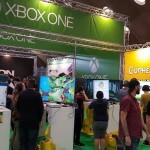 Games, both released as well as new titles, were available to play for all attendants and just as last year, this meant that there were huge waiting lines on some of the more popular games. 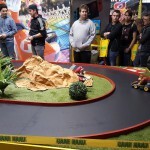 If you weren’t too keen on spending that amount of time for just one game, you could also go to the less populated areas and play on arcades or even race with real-life Mario karts wireless-controlled vehicles. 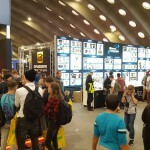 Next to that, there were also some popular YouTubers invited and the hardware section did some regular giveaways. A lot to do, but it might be fun for a more select group of people. Truth be told, the different stands were just beautifully done. 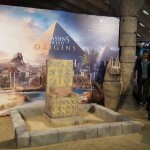 Huge banners of game-related subjects or just about the hardware stands, even a more secluded area where you could enjoy some Pokémon fun while others had brought real-life statues like at the Assassin’s Creed Origins booth. Even the toilets were in theme, as they have had some stickers on the doors and flush buttons. It really is nice to walk through, but some of the issues from last year still remained. Some people weren’t regulated and could keep on playing for a longer time, for instance in the arcade area, while some of the music or microphones were just too loud and almost gave us a headache by just passing by. Also, we heard from several people that some things went wrong organizational wise. For instance, the Smash Brothers Championship couldn’t take place because they forgot one cable or some of the games weren’t playable because they needed the devices for something else, that took place an hour after. In general, this might give the attendants a rather sour aftertaste as they were hoping to have a smooth experience or when they actually were looking forward to certain events. Cosplay wise, it feels like it was pushed back again in comparison to last year. Some exhibitors hired cosplayers, which isn’t that abnormal, but there were less people who attended in cosplay for fun. 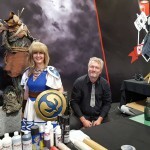 Yes, the organisation added some cosplay-related panels, but the cosplay shop and community was ‘banished’ to the side lane from the convention in comparison to the more centralized spot from last year. It’s too bad that it evolved this way and hopefully this will flourish more next year. Just as last year, you could buy food and drinks with your prepaid GameForce card. These stalls were overcrowded and it took a while before you could actually munch on your well-deserved food. One of the more brighter points is that there were a lot of benches where you could rest your feet and eat in peace. Inside you had the Aïki booth while you had to go outside to get some other fastfood snacks. Just as Comic Con Antwerp, you could only get food at a specific area but at least it was more centralised than the event from last week instead of at the entrance. Of course, it would have been nice if there were more trashcans as they were overflowing rather fast. Next to food, the organisation tried to attract more shops and they succeeded. You could now actually buy games while there were also some other merchandise-oriented stores for you to visit. In general, this concluded in an event that grew in size and amount of shops. 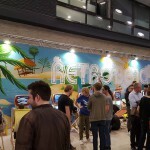 If you like games and live in Belgium then GameForce surely is something to consider. Of course, the waiting lines aren’t short and sometimes you might even be disappointed by some unforeseen issues for some scheduled events. This year, there were more shops to browse and games to enjoy but it might be still for a more selected group of people. Hopefully for next year the waiting lines will be a bit shorter by maybe adding more devices or a more strict time schedule and let’s hope the cosplay scene will flourish more as they can be a rather important asset.